Well, that was fun. In a microcosm of their season, the Montreal Canadiens were given hope late on Friday night when the New York Rangers’ Pavel Buchnevich tied the game against the Columbus Blue Jackets with seven seconds left, but alas, it was not to be. The Blue Jackets won in a shootout to clinch their spot in the postseason dance, and eliminate the Canadiens. That they were in the hunt until the second-last day of the season was a minor miracle considering they finished 28th overall in 2017-18 and preseason predictions had them back in the basement again. The vast majority of fans – the ones not hoping for the first-overall pick or still living with the Stanley Cup-or-bust ethos – should be thrilled by the season that was. It was a wild ride and had many highlights that point to a bright future ahead. 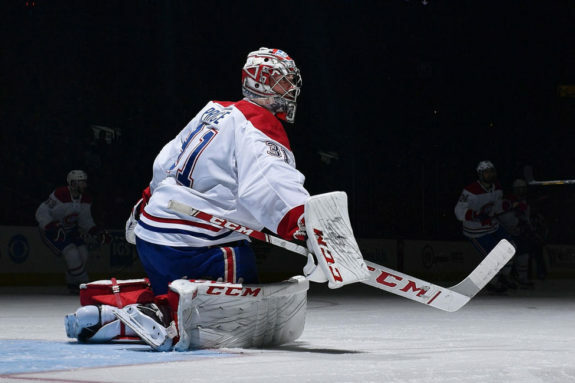 After a slow start and time away to reset, Carey Price returned to the form fans have come to expect and the Canadiens paid for when they signed him to an eight-year, $84 million contract. From Dec. 1 to the end of the season he was second in the NHL in wins (28), sixth in goals-against average (2.25), and eighth in save percentage (.925). Along the way Price broke Jacques Plante’s record for wins by a Canadiens goalie with his 315th, and made spectacular saves routine while being routinely spectacular. He started 28 of the Canadiens’ final 30 games and was the reason they were in the hunt until the end, keeping them in games and buoying his teammates’ confidence. His peers recognized his value, voting him best goalie in the league in an NHLPA poll. The Alex Galchenyuk trade before the season was met with skepticism bordering on derision. But growing up around the hot Toronto media market when his dad, Tie, played for the Maple Leafs may have prepared Domi for Montreal’s klieg lights, and he didn’t wilt in the spotlight, he thrived. 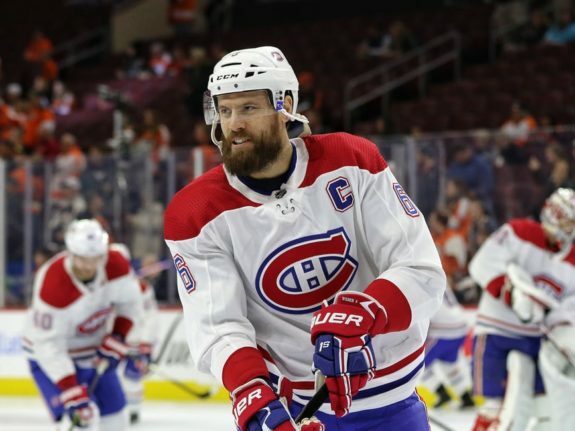 He had 28 goals and led the team in assists (44), points (72), and penalty minutes (80), while giving the Canadiens an unexpected and legitimate center, a position that’s been lacking for much of the 21st century. Meanwhile, with the Arizona Coyotes, Galchenyuk had 19 goals and 41 points in 72 games, while fitting into his new surroundings and earning the respect of teammates and coaches. It was the kind of trade that benefited both teams, it just happened to benefit the Canadiens a little more. 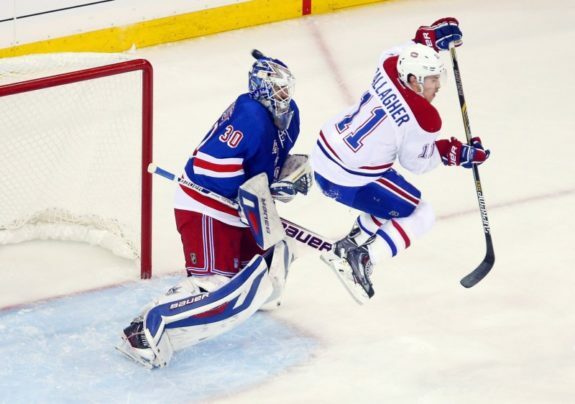 A healthy Brendan Gallagher had a career and team-high 33 goals, earning most the hard way as he continued to be the beating heart and soul of the Canadiens. He finished the season ninth in the NHL in even-strength goals with 29, ahead of players like Art Ross Trophy-winner Nikita Kucherov, Auston Matthews, Steven Stamkos, and Jonathan Toews. 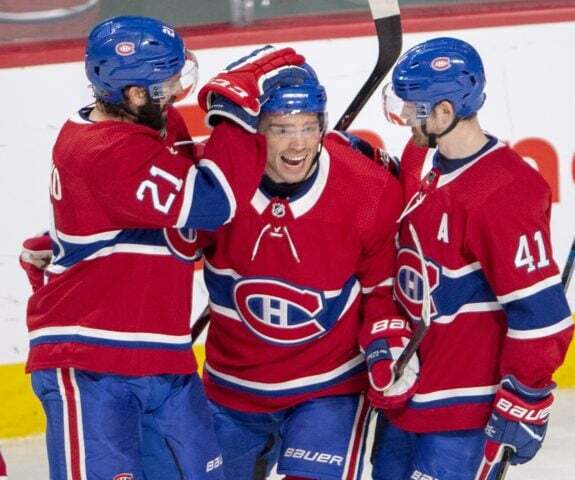 Tatar was the NHL-ready bonus in the Max Pacioretty trade to the Vegas Golden Knights that brought prospect Nick Suzuki, but “Tuna” was one of the Canadiens’ biggest scoring threats, netting 25 goals and 58 points, a new career high. He outscored Pacioretty by three goals and 18 points, playing 80 games to Paciorietty’s 66. Philip Danault was the Canadiens’ best faceoff man at 60.15 percent and played like a future Selke Trophy candidate. Together they could shut down high-flying opponents and score a surprising number of goals of their own. The P.K. Subban for Shea Weber trade will be endlessly scrutinized and the jury might still be out, but in 2018-19, Weber played fiver fewer games than Subban but had five more goals (14 to 9) and three more points (33 to 30), and maybe that’s enough. While Weber may have been playing hurt after coming back from injury, which limited his mobility and exposed him on occasion, he was eighth in goals among defensemen with only 58 games played. His was a calming presence at the back and a steady veteran leader on a young team finding its way. Jeff Petry has proven to be one of Marc Bergevin’s more savvy pick-ups. The son of former Detroit Tigers pitcher Dan Petry led Canadiens defensemen in assists (33) and points (46), and was a reliable defender who stepped up in Weber’s absence and showed up in the most important games. 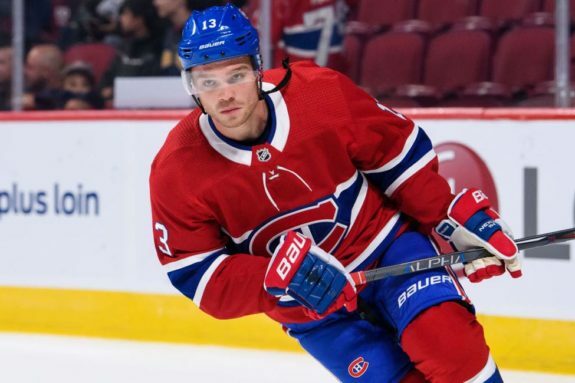 He credits his dairy and gluten-free diet for his surprising 102 mile-per-hour slap shot at the Canadiens’ skill competition and his 23:07 of average ice time in 2018-19, second on the team to Weber’s 23:29. Defensemen Victor Mete, 20, and 25-year-olds Brett Kulak and Mike Reilly also showed flashes of top-four potential in seasons to come. Mete proved he could push the offense with his speed and savvy passing, but he’s now the active NHL leader in games played without a goal at 120. That’s just a fun counter to watch tick next season though, a lighter version of Scott Gomez’s 369-day goal drought in 2011-12. Jesperi Kotkaniemi was a revelation. The youngest player in the NHL this season and the first born in the 2000s is still 18 but he proved he belonged, even if he wore down toward the end of the season. His unbridled enthusiasm charmed fans and the media and he made “mint” the word of the year in Montreal. With his rookie season under his belt and some more weight on his bones, he should be even better next time around. The next generation of Canadiens dominated at the 2019 World Juniors, with all colors of medal represented. Finland’s Jesse Ylonen won gold, silver-medal winning Team USA’s Ryan Poehling was named top forward and tournament MVP, and bronze medalist Alexander Romanov of Russia tied Poehling at the top of the tournament scoring list and was awarded best defenseman. Poehling and Cayden Primeau both signed NHL contracts a week ago, after their college teams were eliminated, and Team Canada defenseman Josh Brook was just added to the Laval Rocket following a stellar season with the Moose Jaw Warriors. His Canadian teammate Suzuki had 34 goals and 94 points and was a plus-40 in 59 games split between the OHL’s Owen Sound Attack and Guelph Storm in 2018-19. With the playoff out of reach, the Canadiens put Poehling in for the final game of the season. All the Canadiens’ 2017 first-round pick did was get a hat trick in his NHL debut, including the game-tying goal with 2:31 left to send it to overtime, and then score the shootout winner in a meaningless but wildly entertaining 6-5 victory over the Toronto Maple Leafs. The product of St. Cloud State sent Canadiens fans off on a high and gave Bob Cole memorable fodder for the last broadcast of his illustrious 50-year career. A little more quietly, goalie Charlie Lindgren – another St. 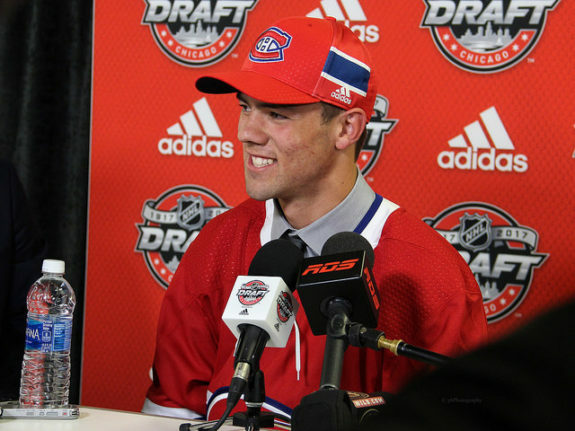 Cloud State grad who also hails from Poehling’s hometown of Lakeville, Minnesota – was called up from the AHL’s Laval Rocket and got the win in his first NHL game this season. The Canadiens’ 96 points were a 25-point improvement over 2017-18 and put them ahead of three teams that qualified for the Western Conference playoffs. It also tied the record for most points by a team that didn’t make the postseason. Their 44 wins were 15 more than the season prior and the Bell Centre was fun again. The team was exciting to watch and easy to like, making Montreal’s cold winter and potholes a little more tolerable. Another reason for optimism is that the Canadiens had 41 wins in both 1984-85 and 1991-92, the seasons before Stanley Cups 23 and 24. With three wins more in 2018-19, they appear to be a better team than the ones on the brink. Don’t bet the farm on the Canadiens winning the 2020 Stanley Cup, but the 1986 the 1993 titles were pretty unlikely too. Even the Canadiens’ feckless power play, which couldn’t score on a decent Midget team for most of the season, showed signs of life at the end. With five goals in 16 opportunities over the last nine games of the season (a 31.25 percent success rate) they leapfrogged the Nashville Predators and finished 30th in the NHL at 13.2 percent. Not last! The season was bookended by games against the Maple Leafs; the opener, an overtime loss, was a harbinger of things to come – pleasantly surprising and close but not close enough – and the last gave us Poehling and hope. It’s rare to feel that the day after the season ends outside the playoff picture, and there’s at least another six months before that hope is dashed.